Officials had suspected the bats to be the primary source of infection and sent their samples to the laboratory in Bhopal, but it turned out to be negative. 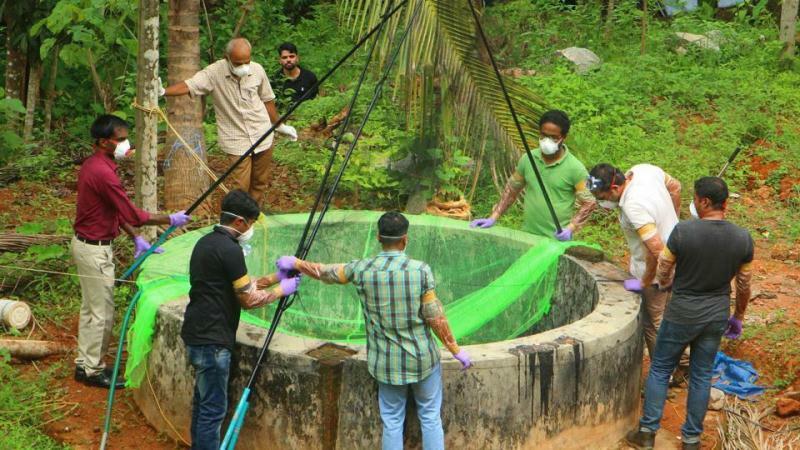 The mystery over the source of the deadly Nipah (NiV) virus infection that has claimed 12 lives in north Kerala deepened after the blood and serum samples of 21 bats tested at the National Institute of High Security Animal Diseases in Bhopal returned negative results for the virus.Health officials will now examine the travel history of Mohamed Sabith, 26, who was the first to die in the Moosa family that lost four members to the virus. He returned home from Saudi Arabia, where he worked as a helper, with what his mother described as a “stomach ailment”. With four people of the same family infected by the virus, health and animal husbandry officials looked for possible sources of the infection. They thought they had solved the problem when they found fruit bats in the well at Moosa’s house in Changaroth village. Since fruit bats from the Henipavirus genus of Paramyxoviridae family are natural hosts of NiV, from whom the virus jumps to other animals and humans, fluid and blood samples from the bats were sent to India’s apex animal testing laboratory in Bhopal for testing. We sent 21 samples and all are negative. Along with samples from bats, we also took samples of domesticated animals like cow, goat, rabbit, dog and cat and those too are negative,” said a senior official of the state animal husbandry department who did not want to be named. Experts in the health ministry, however, say these could just be the initial findings and requires more investigations. “It’s a zoonotic disease, and in past outbreaks, the epidemiological link has been the bats primarily. Maybe the samples that were tested didn’t have the virus present; it is a long-drawn exercise that requires further investigation. There aren’t too many piggeries (for pigs to have been the source) in the area. This may be just the initial result,” said a health ministry official, requesting anonymity. The sudden deaths have led to people abandoning their homes and livestock in the affected Kozhikode and Malappuram districts. An all-party meeting convened by the state government on Friday decided to take out a march through the worst affected Kozhikkode district to instil confidence among people and check their exodus.Two ministers, excise minister T P Ramakrishnan, and health minister K K Shailaja, will participate in the yatra. The government has also decided to sack the employees of the electric crematorium who refused to cremate bodies of people who died of Nipah .